Copy the following code and paste it to your comment/reply etc. 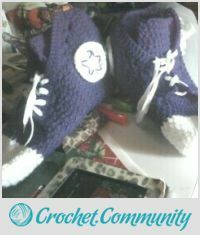 on CrochetCommunity. You can even use it on your own website.